On 8th June (Saturday) is International Children's Day, Chottogram Maa - o – shishu hospital and medical college invited Modern Cancer Hospital Guangzhou Dhaka Office six member delegates to carry out their hospital visit, to have medical lectures and friendly academic exchange activities and to hold MDT’s second medical seminar called "the new concept of cancer treatment - multidisciplinary treatment”. 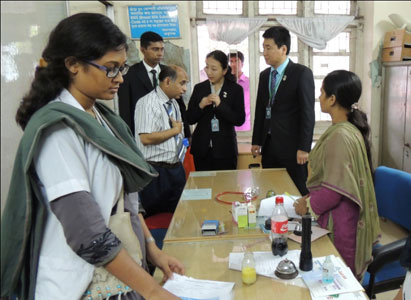 Medical team members were warmly welcomed to the seminar in Agrabad, Chittagong. 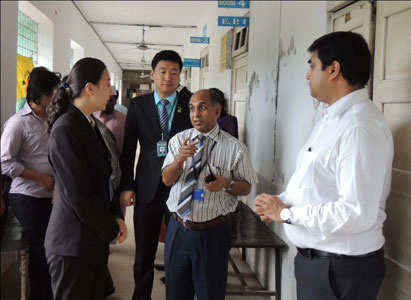 First, the delegates visited Chottogram Maa - o - shishu hospital and medical college, under the guidance of hospital’s Chief Executive Dr.Md.Nurul Haque delegates visited the gynecology and pediatrics department. 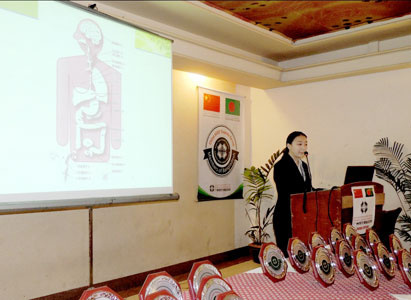 After visiting the hospital, the Chief Consultant of Modern Cancer Hospital Guangzhou Dhaka office and China MDT Team member Dr. Enamul Haque presented the presentation on Multidisciplinary Combined Therapy as well as the analyst of Dhaka office Wang Le carried out the presentation on “Prevention and Recovery of Cancer". After completing the lecture course, new medical team members of Chittagong actively raised their hands to have an active consultation. New members were interested to discuss about the use of 125 iodine seed implantation techniques and cryoablation technology. 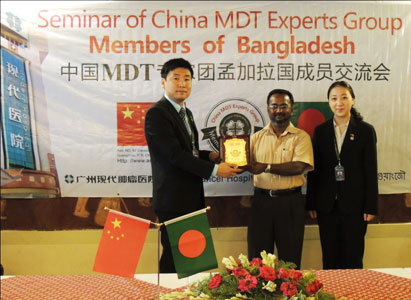 After the end of the lecture, Modern Cancer Hospital Dhaka office manager Li Hu presented a MDT membership crest to assistant professor Dr.M.Mustafizur Rahman, Chottogram Maa - o – shishu hospital and medical college. And also on the behalf of China Medical Oncology MDT manager Li hu presented commemorative crests to new members. 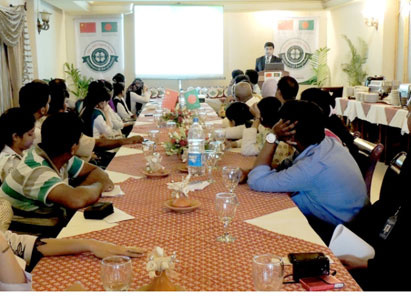 Finally, China MDT members successfully held their second seminar session in Chittagong.